A remarkable thing happened last week. Less than 24 hours after I reported how National Defence sent letters to all 158 families of fallen Afghan soldiers, inviting them to a special commemoration ceremony – but with the caveat they would have to pay their own way to attend – the Harper government reversed course. I cannot recall such a quick reversal under this government. Defence Minister Rob Nicholson confirmed before a parliamentary committee the families’ expenses will be covered, although details are still being finalized and will be announced soon. Many families of fallen soldiers told CTV News they were upset by the tone of an insensitive form letter, adding they do not have the financial resources to pay for a flight to Ottawa and a hotel. “We miss him. Every day. Every hour, every minute of the day,” Anna Miok said. The Mioks already had to pay $4,000 out of their own pockets to attend their 28-year-old son’s repatriation ceremony. The existence of these letters – and the political 180 that followed – is another sting to the Conservative brand, which long proclaimed itself as the party that supports the troops and takes care of the military. 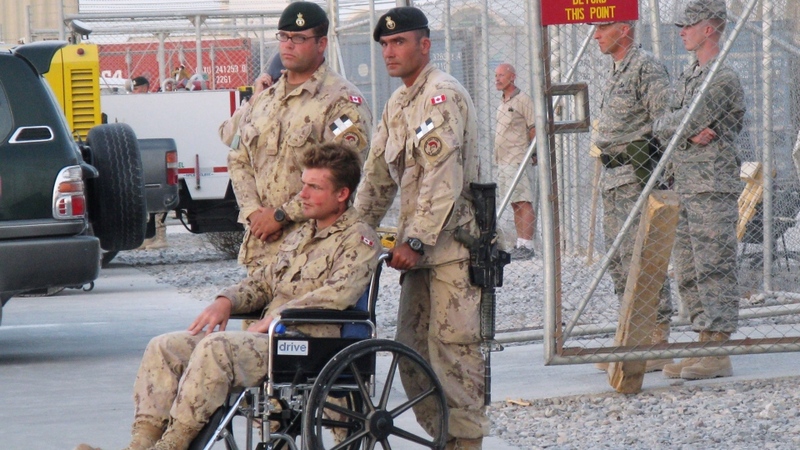 However, the continued crisis of suicides by Afghan veterans suffering PTSD, along with the slow hiring of promised mental health care workers, has raised questions if the government is properly caring for its soldiers in the aftermath of war. NDP Leader Tom Mulcair blamed the government of mixed messaging during question period last Thursday. Nicholson’s parliamentary secretary, James Bezan, repeated the government’s talking points, that the letter was “premature, incorrect and contained false information” because the event’s details have yet to be finalized. 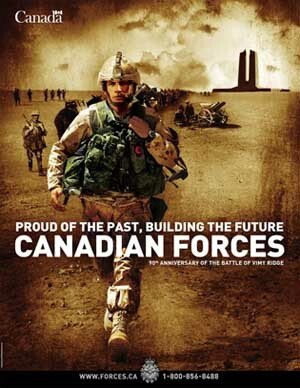 But many high level sources tell me last month, the Prime Minister’s Office, National Defence and Veterans’ Affairs began contacting charities in the private sector to come up with a fundraising plan to cover some of the families’ travel costs. It suggests the government knew all along that the military had no intention of picking up the tab for families of fallen soldiers. It’s been heartbreaking to report on the tragic suicides of 7 Canadian soldiers in as many weeks. Many of them were young with new families, like 28 year old Cpl. 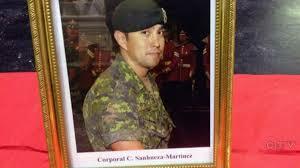 Camilo Sanhueza-Martinez, a reservist belonging to The Princess of Wales’ Own Regiment based in Kingston, Ont., who was discovered in his apartment last week. The military told me Martinez had no medical history of mental illness, or PTSD. But health experts say the symptoms of mental illness can take years to fester, and the smallest thing can trigger thoughts and feelings that lead to tragedy. For Cpl. Leona MacEchern, it seemed the stress of dealing with her treatment resulted in a horrific “final desperate act”. Her husband tells me she purposely drove into into an oncoming semi-truck on Christmas Day. He says his wife – a 20 year veteran of the service – had been battling Veterans Affairs over benefits stemming from dental work going back decades. You can read his full statement here. 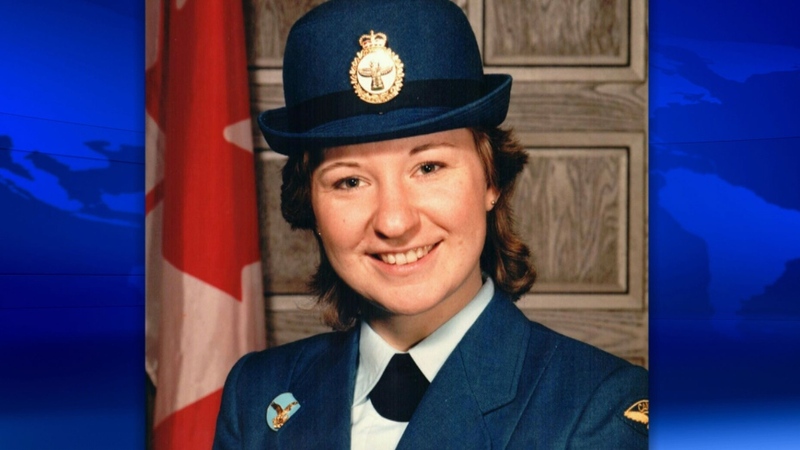 “After reading your report about suicide and mental health in the military, the article about Corporal Leona MacEachern, and her family’s statement, I am hoping that you can pass along my deepest sympathies to the MacEachern family. I wish I could have known her so that I could give her a hug, tell her that I know what she is going through because I have also been through that hell, and tell her that it does get better. A year ago about this time of year, I was commuting an hour each way on the highway. I would drive to work and think about crossing over in to the path of a semi. The only thing that stopped me was wondering if it would be a ‘successful suicide’ or not. I am the mother of four children and married to a Canadian soldier. Like Corporal MacEachern, I also thought that ending my life would help my family. They would receive a large life insurance payment and not have to put up with me anymore. I sought help through my work’s Employee Assistance Program, but the counsellors they put me in touch with were not helpful at all. One counsellor said that she thought I had ADD. I told her that even if that was the case, I did not want to live anymore, so what did it matter? I remember walking my son in his stroller, thankful that it was raining so that no one would see my cry, knowing that I was not going to make it. I did not know why I was so sad. I was angry and frustrated with myself for feeling this way and the help I sought through EAP and the Community for Mental Health was not helping. Finally I called two psychologists. One called me back. The other didn’t. He said that he had many patients and there was a waiting list but he could see me in a few months. I took a deep breath and said that I wouldn’t last that long. Fortunately for me he agreed to see me that Friday. It was three days. I agreed to wait three days. The days were unbearable, just like every other day, but I made it. That was June 15th, 2013. I have been seeing him on a weekly basis ever since and working on the issues that eventually led me to a deep and dark pit of despair. My recovery from my major depressive episode has been a long and painful process, but I am feeling much better and expect to return to work soon. The Canadian Forces Member Assistance Program has a confidential 24/7 toll-free telephone advisory and referral service for all military personnel and their families: 1-800-268-7708. Few stories have generated as much feedback as my recent series on Corporal Glen Kirkland, the 29 year old Afghan war veteran and his very public struggle for health benefits. “I’ve lost a part of sight in my right eye, I’ve lost 75% of my hearing, and I’m still picking out metal in my face when I shave in the morning” he told me in an interview. Kirkland is upset that injured veterans who serve less than 10 years won’t qualify for a military pension. He fears he won’t be able to pay his extensive medical bills or psychological therapy when he is discharged. 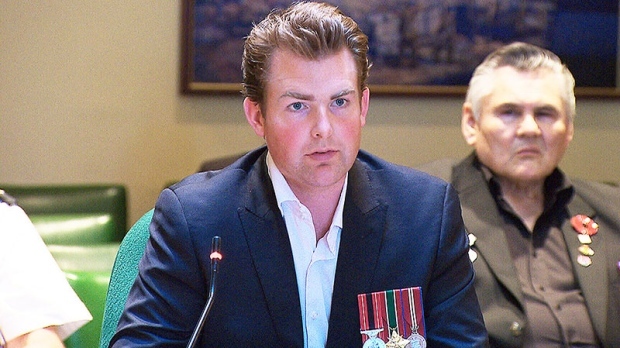 So last week, Kirkland accepted an invitation to appear before the House Defence Committee studying the impact of injured veterans. Yet hours before his appearance, he said his commanding officers called him, and threatened him if he spoke out against the military. “In a very threatning way,” he described their tone. “In the past, I’ve been threatened with a dishonourable discahrge, and i felt the same threatning presence from them”. The committee took his claims very seriously. And in another rare step, committee members gave him parliamentary immunity for his testimony against the military. Kirkland then gave one of the most compelling speeches I’ve ever witnessed. It clearly shook members who listened intently. (you can watch his full testimony here). “[Cpl. Kirkland] will receive every and all benefits to which he is entitled. I will go further to his and his family. that he will suffer no ramifications from his testimony … in addition to that he will continue to serve as long as he decides to serve in the Canadian Armed Forces as long as he wishes”, said Mackay. What happened next was just as extraordinary. The following day, Kirkland flew home to his base at CFB Shilo, just outside of Brandon, Manitoba. In his mailbox was his discharge notice from the military. He said he was “shocked … speechless” it happened. He said calls to his direct commanders were not returned, and he was getting no answers from the military. For someone dealing with PTSD, he said the added anxiety wasn’t helpful. When we aired that story, I’m told defence officials were floored. An official told me privately there was a “colossal breakdown in the chain of command”. MacKay and his staff went in full damage control and eventually reversed the decision. MacKay called the vice-chief of defence staff and ordered him to tear up the discharge notice. MacKay then ordered the Chief of Military Personnel, Gerry Blais, to call Kirkland personally and smooth things over. So Kirkland’s issue may have been resolved. But he adds he won’t stop his latest battle to get all sick and injured veterans a full pension …. regardless how long they’ve served.